WHY IT RATES: Travelers in Maryland and the surrounding area will now have more opportunities to fly to Nordic countries thanks to new service introduced by Icelandair.—Donald Wood, Breaking News Senior Writer. On Wednesday, Icelandair announced the return of their international flights from Baltimore-Washington International Airport (BWI) to Iceland and beyond. Flight 642 will begin seasonal service on May 28, 2018, with four non-stop flights a week to Iceland on Mondays, Tuesdays, Fridays and Sundays. 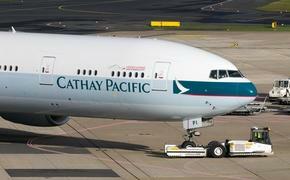 Easy connections to and from more than 25 destinations in Europe will also be available. It has been over a decade since Icelandair ceased operations in BWI, but there has always been a strong demand and support for the airline to once again return to Charm City. "The time is right for Icelandair to return to BWI. Icelandair has been in operation for over 80 years, and Baltimore has played an important role in that history. Today our network is bigger and stronger than ever, and we offer our passengers more flights, more connections, and a refreshing alternative to Iceland and beyond. We look forward to welcoming Baltimore aboard again," said Icelandair CEO Bjorgolfur Johannsson. BWI service will be in addition to Icelandair's ongoing flights from Washington-Dulles, and will increase the options when flying Internationally to and from the Baltimore-Washington corridor. With a short commute from both Baltimore and Washington, DC, BWI also offers many flight connections throughout the US with Icelandair's partner airlines, JetBlue and Alaska Airlines. Maryland was founded in 1632 and is one of the original 13 colonies of the United States. With a rich and full colonial history, Baltimore is also home to the oldest railroad in the United States and was the birthplace to many modern legends such as Babe Ruth, Frank Zappa, Billie Holiday, Barry Levinson and John Waters. It also serves as the final resting place of Edgar Allan Poe. Baltimore is known for its quirky and diverse neighborhoods, and its vibrant and active art community. Be sure to visit one of the many unique and family-friendly museums throughout the city, including the Visionary Art Museum, Baltimore Museum of Art, and the Walters Art Gallery. The famous Baltimore Harbor has shopping, restaurants and hotels, along with Power Plant Live offering a variety of pubs and clubs for eclectic and easily accessible nightlife. The harbor also houses the National Aquarium and two important US Navy vessels. Be sure to have an authentic Italian meal in Little Italy and visit Ft McHenry, where the flag that inspired the Star Spangled Banner did, in fact, wave. After exploring Baltimore, travelers can easily commute to the nation's capital, Washington DC, which is only 30 miles away, via car, or train. For vacationers who are looking to explore outside of the city they can visit the many beaches, bays and islands that surround Maryland. "Icelandair is providing our travelers with more options to fly across the Atlantic," said BWI Marshall Airport Executive Director, Ricky Smith. 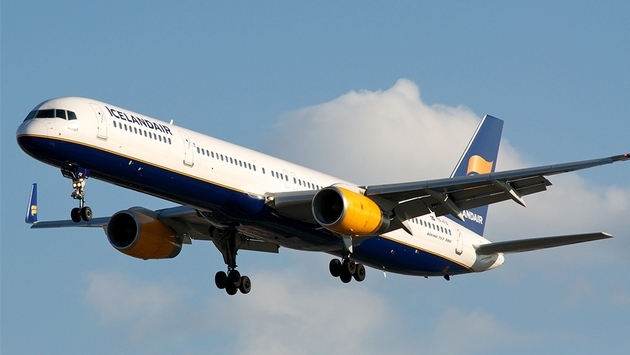 "Icelandair offers excellent customer service and a wide international range. We are pleased that the airline recognizes the potential for growth and success here at BWI Marshall Airport." Iceland has become one of the hottest destinations in Europe. Only 5 hours from BWI, Iceland is a natural wonderland filled with geysers, glaciers and waterfalls, clean air, pure water and natural hot springs. If Iceland is not your final destination, be sure to take advantage of an Icelandair Stopover for up to seven nights at no additional airfare. Icelandair has been in operation since 1937 and celebrated its 80th anniversary in 2017. As an aviation pioneer, Icelandair continues to grow by adding new aircraft to its modern fleet, more destinations, and popular amenities including over 600 hours of personal in-flight entertainment and gate-to-gate Wi-Fi access available on all routes.